Originally from Kazan, Russia, Alisa relocated to the United States in 2007. She is a full-time, professional, Russian-speaking Realtor operating in the Dallas-Fort-Worth Area. Her primary goal is to make her clients happy. She always strives to listen to her clients’ needs and to provide her clients with the highest level of service in finding their dream homes. What makes Alisa stand out is the competitive edge that she developed while living in NYC, the biggest metropolitan center in the US. This quality that is very important in Dallas nowadays, as the market is very competitive. 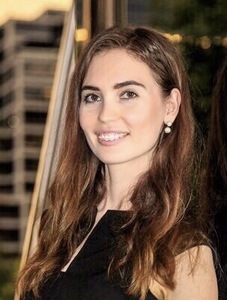 It is an attention to details that she honed while working at Deloitte, one of the largest international auditing firms, and it is her knowledge of the ins and outs of the DFW market that she picked up while working as a CPA in the real estate department for one of the largest and most experienced global investment firms in Dallas. All this, combined with her caring and sincere personality, make her an exceptional real estate agent that clients want to choose for one of the biggest life decisions they will make. She will always educate and guide her clients through the entire home buying and selling processes. A people person, Alisa is very capable of connecting with others in a sincere and honest way. She holds herself accountable, so when it comes to meeting her clients’ needs, nothing ever falls by the wayside. Outside the office, she enjoy staying active by experiencing new things and traveling. She is enthusiastic about Latin culture, especially the music and the language, and one of her favorite pastimes is tennis.